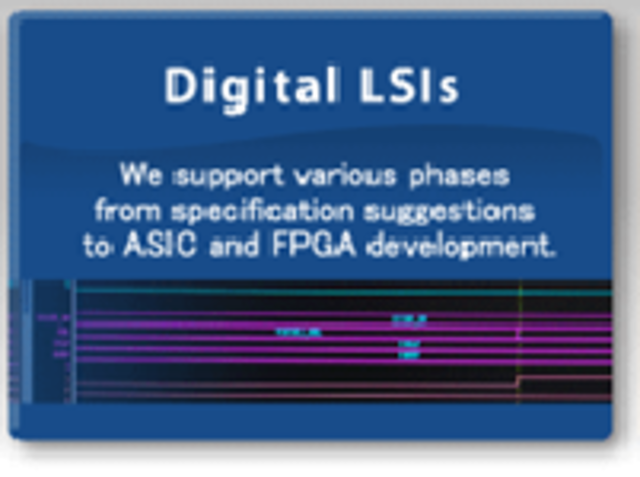 Digital LSI - Solutions & Services | Shikino High-Tech Co., Ltd. Giving form to our customers' needs. 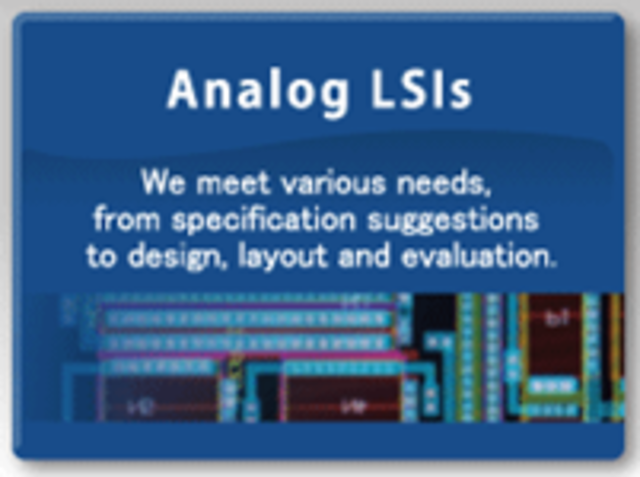 We offer to consult with our customers on everything from drawing up specifications to device production, exploiting our long years of experience and achievements with digital LSI design. In particular, the technology of Shikino High-Tech is employed in such areas as security, energy, in-vehicle installations and the medical fields. Shikino High-Tech LSI design technology is employed in so many daily life situations - in cellular phones, digital cameras, car navigation systems, intelligent home appliances and medical devices. In addition to ASIC design, we also provide development tools that are compatible with the products of leading FPGA manufacturers such as Xilinx, Inc. and Altera Corporation. Customer satisfaction is a product of our wealth of design achievements and amassed know-how. Shikino High-Tech's IP solutions shorten the time-to-market for your products. We have a range of cores that we ourselves have developed, such as our "still image compression/decompression JPEG IP core" and "MIPI CSI2 IP core", all offering high performance.